Would You Pay to Play One of America's 10 Most-Expensive Golf Courses? How much are you willing to pay to play golf? What's the highest green fee you've ever paid for a round of golf? The most-expensive green fee I've ever paid is $120, although the most I've ever paid for golf is $480. I'll explain the apparent contradiction in a minute. First, here's a list of the 10 highest green fees in the United States. This ranking, and the green fees cited, come from an article on GolfAdvisor.com. Go read it, it contains good information about the fees in question. Note that the fee cited are peak fees. You can play these courses for less during the offseason, at twilight times, and in other circumstances when the courses are, for one reason or another, discounting fees. But at their peak fees, those are the 10 highest-priced golf courses in America. Would you pay that much to play any of them? Back to my opening: I once paid $480 to play golf, but the green fee was only $120. What happened is this: After 10 years I had left a job and moved from a mid-size city to a big city, one that has a PGA Tour event. The old job had provided an old-style pension (since, like most traditional pensions, eliminated). I had been there 10 years. The rule was, if you left your job before reaching a certain level of vestment in the pension, the company automatically cashed you out. So I had a lump sum cash payment coming, which I expected would be a pretty good chunk of change. Ten years, after all. It turned out to be a whopping $480. What a disappointment. But I turned it into something good: I was now living in a city with a PGA Tour golf course, a fancy resort course. I had three golf buddies back in that smaller town who (like myself) had never played anything but municipal courses at that point. So I decided to blow that measly pension payment paying for my group of four to play a fancy, exclusive, big-city, PGA Tour golf course. And we did. We had a good time, I was happy I did it. But the fact is, none of thought that fancy course was really worth it. We all commented that we'd have been happy just playing another, cheap municipal. It was about the camaraderie, the joy of the game and the friendships, being out in the sun and fresh air. The $120 course was nicer than we'd ever played, it was an experience, but other elements of the experience outweighed the "wow" factor of the golf course. I've never paid more than $80 to play golf since. I just can't justify the expense. So as much as I'd love to see Pebble Beach in person, or Pinehurst No. 2, or TPC Sawgrass, I would never pay those green fees to play them. Put me on my local $24 municipal on a nice day with good friends and I'll be just fine, thank you very much. So that's my answer to the question: No, I wouldn't pay those fees to play one of America's 10 most expensive golf courses. You have to love an LPGA golfer who has very long legs and occasionally wears shorts or skirts so short or tight that she later apologizes after certain prudes complain. Well, you have to, at least, if you're a fan of golf hotties. And Sandra Gal is a golf hottie. The capture is from an appearance Gal recently made on German television, in which the host challenged her to knock vases off a shelf by chipping golf balls at them. You won't be able to understand the dialogue (unless you speak German), but who cares: watch the video for that dress, those legs and that booty. 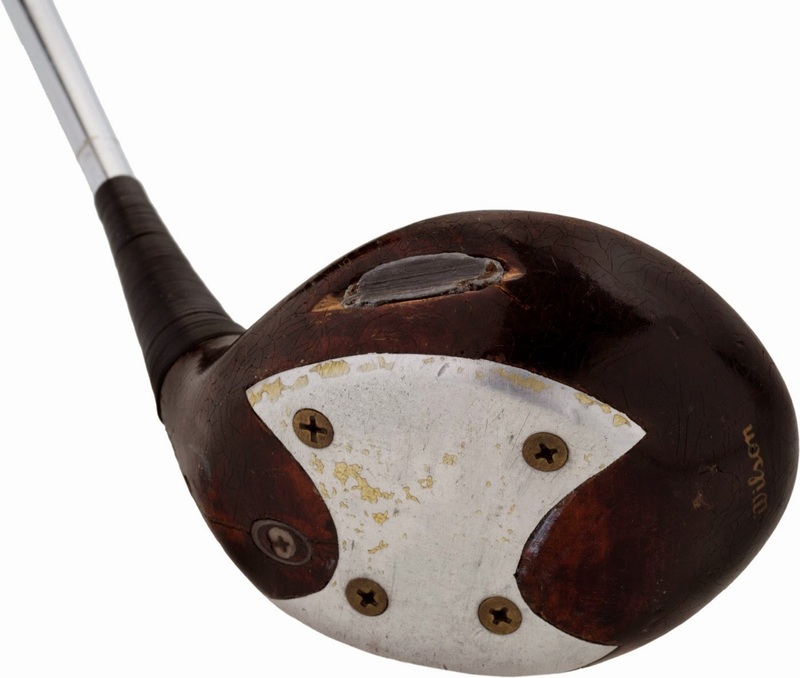 If you have a spare $250,000 (or more) lying around, you can be the proud, new owner of a driver that was used on the PGA Tour for 17 years by Sam Snead. Yep, back in Snead's day you didn't trade in your driver every other weekend for the newest release by your club sponsor. 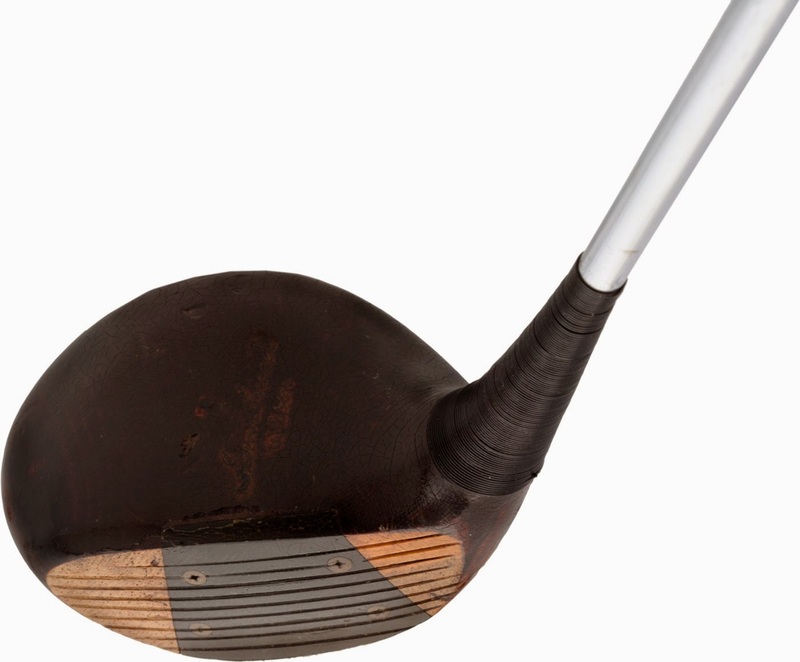 You found a persimmon driver you loved, you stuck with it. And Snead stuck with his baby for 17 years, from 1936 through 1953. The auctioneers, Heritage Auctions, say that this driver was used by Snead in more than 100 victories - many, obviously not all of them, PGA Tour wins. How did Snead get the driver? He took it out of the bag of fellow pro Henry Picard. In 1936 I was signed with Dunlop, along with Henry Pickard (sic). We were at a tournament on the practice tee when I spotted this driver in Pickard's bag. I took it out and tried it and felt it and really liked it. Pickard said I could have it because it was too big for him. Pickard said that a club maker for Wilson by the name of Gansky made it. At that time, some of Dunlop's clubs were made by Wilson. Pickard said that he had paid $5.25 for it. I paid him that amount and took it with me. I proceeded to win over 100 tournaments, including two Masters, one British Open and two P.G.A. Championships with this driver. I also won many long distance driving contests with it. A few years after buying the driver, Pickard wanted to buy it back, and I said I wouldn't sell it for a million! Description: Made by Wilson, name of Sam Snead and Wilson on head, Plain sole plate, dark brown head with black insert, head is cracked in neck with an added screw in the neck, also has an added screw in end of shaft on bottom of head and has lead weight in back of head. I, Sam Snead, attest that the above-written information is true and accurate. The letter is part of the auction lot. While Snead says in the letter he wouldn't sell it for a million dollars, his heirs are certainly willing. Why did we say it would take at least $250,000 to win the driver? Because that's the minimum opening bid. Follow the auction here. Last year, another auction of multiple Snead memorabilia brought in more than $1 million total.